Remember, an acceptance test system as a tool is only as good as the specification provided by it’s humans. The most important ingredients there-for is the relationships between the people creating the tests and the interactions performed by those people. Or as the Agile Manifesto states: Value “Individuals and interactions over processes and tools”. In order for an acceptance test system to be successful, the relationships of the Developers creating the increment and the interactions between them and the stake holders must be in good shape first. Once this is in order, you can take the next step and find some tools that will assist in creating working software that does what the stake holders want it to do. It’s my intention that the following details will help you to create a system that automates “Specification by Example”. The purpose of providing an automated Specification by Example Implementation, A.K.A Automated Acceptance Test System, is clearly explained here. Do not fall into the trap of inverting the test triangle. Instead invest where it matters. A build on the build machine, preferably from a best of bread build tool. TFS is not a best of bread build tool and if you want to get serious about Continuous Integration (CI), nightly builds, continuous deployment, I’d recommend not going down the path of TFS. Even Microsoft uses Git. Doesn’t that tell you something? Do you see TFS here? Last time I evaluated build tools, Jenkins previously named Hudson came out on top. A Unit test framework. UI tests need to be run in parallel on a collection of VM’s (See the section on supported browsers for why). There are three immediately obvious approaches we could take here. We could try and rely on a unit test framework to distribute the tests. MSTest 2012 doesn’t provide the ability to run tests in parallel, but 2010 does. In order to have 2012 run tests in parallel, you can force it to use the 2012 test settings file. Only a maximum of 5 tests can be run concurrently though. Not a great option, considering it’s not going to be supported going forward. My ParallelBrowser. If this link is not active and you’re interested in this, contact me. PNUnit. An example of how this works is here under the “PNunit Framework for writing selenium test cases” heading. I wrote the ParallelBrowser before Selenium had good support for running the same tests on multiple supported browsers. Both my ParallelBrowser and this option are reasonable options, but I’d go for the latter now. This way someone else can maintain the parallel aspect. As unless people are interested in ParallelBrowser I won’t be doing any further work on it. A Web User Interface Test Framework that will be driven by the acceptance test framework. Selenium in this case. A set of tests that run Selenium tests. These will of course need to be thread-safe. As per the Supported Browsers section, a collection of VM’s with our supported browsers installed. Each with a standalone selenium server setup with a role of webdriver. Details further on. Run the acceptance tests which will include any Web UI tests. If it’s within your power to choose a real CI Tool to run in-house, there are a handful of very solid contenders. A good proportion of which are free and open source. Who ever is setting up the system. Often a developer or two. It’s important to make sure more than one person knows how it all hangs together, otherwise you have a single point of failure. Who is the creator? I favour teams rather than individuals, as individuals move on often leaving projects stranded? Does it do what you need it to do? Does it suite the way you and your team want to work? Does it integrate well with all of your other chosen components? This is based on communicating with those that have used the offerings more so than using Proof Of Concepts (POC). Works with the versions of dependencies you currently use. Cost in time. Is the set-up painful? Customisation feedback? Upgrade feedback? How well does it appear to be supported? What do the users say? Documentation. Is there any / much? What is its quality? Community. Does it have an active one? Are the users getting their questions answered satisfactorily? Why are the unhappy users unhappy (do they have valid reasons). Release schedule. How often are releases being made? When was the last release? The following tools have been my choice based on the above criterion. The following offerings are all free and open source. If you’re not using User Stories and/or Test Conditions, the context/specification offerings provide greater flexibility than the xBehave style frameworks. As most Scrum teams use User Stories for their Product Backlog items and drive their acceptance tests with test conditions, xBehave offerings are a great choice. In saying that, there is probably no reason why both couldn’t be used where it makes sense to do so. In this section I’ve provided the results of evaluating the current xSpec and xBehave offerings for .NET ordered by best first for the categories. Integrates well with Selenium (I’ve setup a couple of systems using SpecFlow and it’s been a joy to work with). The stake holders loved the visibility it provided too. I discussed it here in a recent presentation. Machine.Fakes (NuGet packages available). Simplifies the usage of mocking libraries on top of MSpec, reducing a lot of the typical fake framework related clutter code in specifications. Wrapper API’s available to abstract the usage of mocking frameworks, allowing you to swap them without re-writing your test code. Documentation: Not great, but RSpec has plenty and the syntax is very similar. Integrating with Selenium: See the github page for links. For me when I look at this category of tools for .NET, Selenium is always at the top and it just keeps getting better. If anyone has any questions around Selenium, feel free to contact me or leave a comment on this post. I can’t guarantee I’ll have the answer, but I’ll try. All the documentation can be found here. 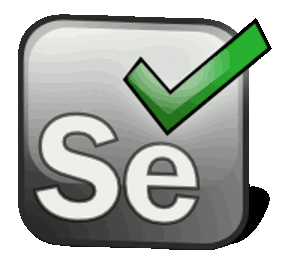 I would recommend installing the Selenium IDE for initially recording tests and be sure to check-out the IDE plug-ins. All the documentation you’ll need for the IDE is here. Once you get familiar with the code it generates, you will not use it much. I would recommend using the newer Web drivers rather than the selenium server by itself. The user group is very active and looks like a good place to ask questions also. Although I haven’t needed to as there is a huge amount of documentation that’s great. Selenium Server which is used by WebDriver and RC (now considered legacy) now includes built-in grid capabilities. What I’ve done in the past is have each of our supported versions from each supported browser vendor installed on a single VM. So each VM has all the vendors browsers installed, but just a single version obviously. The choice to use PSake over the likes of NAant, Rake and the other build scripting languages is reasonably straight forward for me. PSake (PowerShell build scripting language) gives us access to the full .NET environment. NAnt with all it’s angle brackets, was never a very nice scripting language to use. Rake is excellent and a possible option if you have ruby installed. If you don’t, why install it if you have .NET? There are many resources for PowerShell on the inter-webs. The wiki for PSake is good. In the case where you may have a TFS Build run, I would suggest once all the unit tests and integration tests have run, then the build kicks off a possibly pre-build and post-build psake script to perform the following operations. This is how you do this. Oh, before you try to actually run a PSake script, download and import the module, or install the NuGet package. So once you have your PSake scripts running, just start adding PowerShell scripts to do the following work. PSake is just syntactic sugar around PowerShell, so anything you can do with PS, you can do with PSake. Using your PSaki script, use the Web Deploy cmdlets. You will find everything you need here for it. You can also install the NuGet package. As above, just use the Web Deploy cmdlets. Kind of related, but not specific to CI. Depending on your needs, there are quite a few ways you could do this. One way of doing this is to have your application utilise a library that determines which version of the database the application needs and be able to update the database accordingly. This library would use similar or the same upgrade scripts that we would use in this test process. Your applications should create (if non existent) and update database on run. So all the DDL, DML code per database lives in a library. Each application that uses a specific database, references the databases DDL code library. Script all stored procedures, views, functions, triggers they’re recreated as part of a deployment scrip. When the application is deployed, and the database created or updated, anything that must be there for the application to run out of the box should be part of the scripts, and of course versioned. This includes the part of our data that is constant or configuration data. Tables, stored procedures, views, functions and triggers. For the variable part of your data, you will need a synthetic data generation plan for testing. Also related, but not specific to CI. DBA, Devs, Product Owner and consultants must be aware of the process. When any schema, constant data, configuration data, test data is updated… the (version controlled) scripts must also be updated, else the updates will get overwritten. As part of the nightly build, if your supporting multiple versions of your application, you could also hydrate the collection of database versions, then run the appropriate upgrade scripts against each one, to verify the upgrades work. If any don’t, the build fails. Clearly documents that any changes made to any databases by un-authorised personal will more than likely be overwritten. As the team, we need to create a set of well defined processes that clearly outline what is required in regards to setting up the development teams database versioning, creation, upgrade systems and processes strategy for our organisations databases. So that all team personal are aware of the benefits and dangers of making changes to the databases, and understand the change process. Start each VM that hosts a set of browsers you want to use to farm your tests out to. From memory, you do not need to start each browser. There are of course many ways to do this. PS provides the following cmdlets Start-VM and Stop-VM. These would be my first options. Start the selenium standalone server. All details found here. Or just work through the “Distributed Testing with Selenium Grid” chapter until you get to the “Creating and executing Selenium script in parallel with TestNG” heading, at which point switch to this documentation to replace TestNG with PNUnit.